Nakhchivan Autonomous Republic within Azerbaijan. The Nakhchivan Autonomous Republic (Azerbaijani: Naxçıvan Muxtar Respublikası, [nɑxt͡ʃəˈvɑn muxˈtɑr rɪsˈpublikɑsə]) is a landlocked exclave of the Republic of Azerbaijan. The region covers 5,500 km2 (2,100 sq mi) with a population of 414,900, bordering Armenia (border 221 km [137 mi]) to the east and north, Iran (border 179 km [111 mi]) to the south and west, and Turkey (border 8 km [5.0 mi]) to the northwest. The area that is now Nakhchivan became part of the Safavid dynasty of Iran in the 16th century. In 1828, after the last Russo-Persian War and the Treaty of Turkmenchay, the Nakhchivan Khanate passed from Iranian into Imperial Russian possession. After the 1917 February Revolution, Nakhchivan and its surrounding region were under the authority of the Special Transcaucasian Committee of the Russian Provisional Government and subsequently of the short-lived Transcaucasian Democratic Federative Republic. When the TDFR was dissolved in May 1918, Nakhchivan, Nagorno-Karabakh, Zangezur (today the Armenian province of Syunik), and Qazakh were heavily contested between the newly formed and short-lived states of the Democratic Republic of Armenia (DRA) and the Azerbaijan Democratic Republic (ADR). In June 1918, the region came under Ottoman occupation. Under the terms of the Armistice of Mudros, the Ottomans agreed to pull their troops out of the Transcaucasus to make way for British occupation at the close of the First World War. In July 1920, the Bolsheviks occupied the region and on July 28, declared the Nakhchivan Autonomous Soviet Socialist Republic with "close ties" to the Azerbaijan SSR, beginning seventy years of Soviet rule. In January 1990 Nakhchivan declared independence from the USSR to protest against the suppression of the national movement in Azerbaijan, and became the Nakhchivan Autonomous Republic within the newly independent Republic of Azerbaijan a year later. The Nakhchivan Autonomous Republic is an autonomous area of Azerbaijan, governed by its own elected legislature. The region continues to suffer from the effects of the Armenia-Azerbaijan War, and its Karki exclave has been under Armenian occupation ever since. The administrative capital city is Nakhchivan. Vasif Talibov has been the leader since 1995. Variations of the name Nakhchivan include Nakhichevan, Naxcivan, Naxçivan, Nachidsheuan, Nakhijevan, Nakhchawan, Nakhitchevan, Nakhjavan, and Nakhdjevan. Nakhchivan is mentioned in Ptolemy's Geography and by other classical writers as "Naxuana". The 19th-century language scholar Johann Heinrich Hübschmann wrote that the name "Nakhichavan" in Armenian literally means "the place of descent", a Biblical reference to the descent of Noah's Ark on the adjacent Mount Ararat. Armenian tradition says that Nakhchivan was founded by Noah. First century Jewish historian Flavius Josephus also wrote about Nakhichevan, saying that its original name "Αποβατηριον, or Place of Descent, is the proper rendering of the Armenian name of this very city". Hübschmann noted, however, that it was not known by that name in antiquity, and that the present-day name evolved to "Nakhchivan" from "Naxčawan". The prefix "Naxč" derives from Naxič or Naxuč (probably a personal name) and "awan" (the modern transcription of Hübschmann's "avan") is Armenian for "place, town". The oldest material culture artifacts found in the region date back to the Neolithic Age. On the other hand, Azerbaijani archaeologists have found that the history of Nakhchivan dates back to the Stone Age (Paleolithic). As a result of archaeological diggings, archaeologists discovered a great number of Stone-Age materials in different regions of Nakhchivan. These materials were useful to study the Paleolithic age in Azerbaijan. Pollen analysis conducted in Gazma Cave (Sharur District) suggests that humans in the Middle Palaeolithic (Mousterian) lived not only in the mountain forests but also in the dry woodlands found in Nakhchivan. Several archeological sites from the dating from the Neolithic have also been found in Nakhchivan, including the ancient town of Ovchular Tepesi, which also includes some of the oldest salt mines in the world. The region was part of the state of Urartu and later of Media. It became part of the Satrapy of Armenia under Achaemenid Persia c. 521 BC. After Alexander the Great's death in 323 BC, various Macedonian generals such as Neoptolemus tried to take control of the region, but ultimately failed and a native Armenian dynasty of Orontids flourished until Armenia was conquered by Antiochus III the Great (ruled 222-187 BC). The Nakhichevan region (light purple) at the time of Armenia's Kingdom of Vaspurakan (908-1021). In 189 BC, Nakhchivan became part of the new Kingdom of Armenia established by Artaxias I. Within the kingdom, the region of present-day Nakhchivan was part of the Ayrarat, Vaspurakan and Syunik provinces. According to the early medieval Armenian historian Movses Khorenatsi, from the 3rd to 2nd centuries, the region belonged to the Muratsyan nakharar family but after disputes with central power, King Artavazd I massacred the family and seized the lands and formally attached it to the kingdom. The area's status as a major trade center allowed it to prosper; as a result, many foreign powers coveted it. According to the Armenian historian Faustus of Byzantium (5th century), when the Sassanid Persians invaded Armenia, Sassanid King Shapur II (310-380) removed 2,000 Armenian and 16,000 Jewish families in 360-370. In 428, the Armenian Arshakuni monarchy was abolished and Nakhchivan was annexed by Sassanid Persia. In 623, possession of the region passed to the Byzantine Empire but was soon left to its own rule. Sebeos referred to the area as Tachkastan. Nakhchivan is said by his pupil, Koriun Vardapet, to be the place where the Armenian scholar and theologian Mesrob Mashtots finished the creation of the Armenian Alphabet and opened the first Armenian schools. It happened in the province of Gokhtan, which corresponds to Nakhchivan's modern Ordubad district. From 640 on, the Arabs invaded Nakhchivan and undertook many campaigns in the area, crushing all resistance and attacking Armenian nobles who remained in contact with the Byzantines or who refused to pay tribute. In 705, after suppressing an Armenian revolt, Arab viceroy Muhammad ibn Marwan decided to eliminate the Armenian nobility. In Nakhchivan, several hundred Armenian nobles were locked up in churches and burnt, while others were crucified. The violence caused many Armenian princes to flee to the neighboring Kingdom of Georgia or the Byzantine Empire. Meanwhile, Nakhchivan itself became part of the autonomous Principality of Armenia under Arab control. In the 8th century, Nakhchivan was one of the scenes of an uprising against the Arabs led by Persian revolutionary Babak Khorramdin of the Iranian Khorram-Dinān ("those of the joyous religion" in Persian). Nakhchivan was finally released from Arab rule in the 10th century by Bagratuni King Smbat I and handed over to the princes of Syunik. This region also was taken by Sajids in 895 and between 909 and 929, Sallarid between 942 and 971 and Shaddadid between 971 and 1045. About 1055, the Seljuk Turks took over the region. In the 12th century, the city of Nakhchivan became the capital of the state of Atabegs of Azerbaijan, also known as Ildegizid state, which included most of Iranian Azerbaijan and a significant part of the South Caucasus. The magnificent 12th-century mausoleum of Momine Khatun, the wife of Ildegizid ruler, Great Atabeg Jahan Pehlevan, is the main attraction of modern Nakhchivan. At its heyday, the Ildegizid authority in Nakhchivan and some other areas of South Caucasus was contested by Georgia. The Armeno-Georgian princely house of Zacharids frequently raided the region when the Atabeg state was in decline in the early years of the 13th century. It was then plundered by invading Mongols in 1220 and Khwarezmians in 1225 and became part of Mongol Empire in 1236 when the Caucasus was invaded by Chormaqan. In the 13th century during the reign of the Mongol horde ruler Güyük Khan Christians were allowed to build churches in the strongly Muslim town of Nakhchivan, however the conversion to Islam of Gazan khan brought about a reversal of this favor. The 14th century saw the rise of Armenian Catholicism in Nakhchivan, though by the 15th century the territory became part of the states of Kara Koyunlu and Ak Koyunlu. 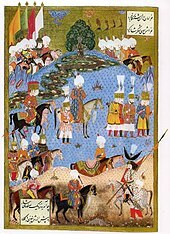 A miniature depicting Ottoman Sultan Suleiman the Magnificent marching into Nakhchivan during the continuous border wars between the Ottoman Empire and Safavid Persia (14th to 18th century). On the twenty-seventh day they reached the plain of Nakhichevan. Out of fear of the victorious army, the people deserted the cities, villages, houses, and places of dwelling, which were so desolate that they were occupied by owls and crows and struck the onlooker with terror. Moreover, they [the Ottomans] ruined and laid waste all of the villages, towns, fields, and buildings along the road over a distance of four or five days' march so that there was no sign of any buildings or life. In 1604, Shah Abbas I of Iran, concerned that the skilled peoples of Nakhichevan, its natural resources, and the surrounding areas could get in danger due to its relatively close proximity to the Ottoman-Persian frontline, decided to institute a scorched earth policy. He forced the entire hundreds of thousands of local population—Muslims, Jews and Armenians alike—to leave their homes and move to the provinces south of the Aras River. Many of the deportees were settled in the neighborhood of Isfahan that was named New Julfa since most of the residents were from the original Julfa. The Turkic Kangerli tribe was later permitted to move back under Shah Abbas II (1642–1666) in order to repopulate the frontier region of his realm. In the 17th century, Nakhchivan was the scene of a peasant movement led by Köroğlu against foreign invaders and "native exploiters". In 1747, the Nakhchivan Khanate emerged in the region after the death of Nader Shah Afshar. After the last Russo-Persian War and the Treaty of Turkmenchay, the Nakhchivan Khanate passed into Russian possession in 1828 due to Iran's forced ceding as a result of the outcome of the war and treaty. With the onset of Russian rule, the Tsarist authorities encouraged resettlement of Armenians to Nakhchivan and other areas of the Caucasus from the Persian and Ottoman Empires. Special clauses of the Turkmenchay and Adrianople treaties allowed for this. Alexandr Griboyedov, the Russian envoy to Persia, stated that by the time Nakhchivan came under Russian rule, there had been 290 native Armenians families in the province excluding the city of Nakhchivan, the number of Muslim families was 1,632, and the number of the Armenian immigrant families was 943. The same numbers in the city of Nakhchivan were 114, 392 and 285 respectively. With such a dramatic influx of Armenian immigrants, Griboyedov noted friction arising between the Armenian and Muslim populations. He requested Russian army commander Count Ivan Paskevich to give orders on resettlement of some of the arriving people further to the region of Daralayaz to quiet the tensions. The Nakhchivan Khanate was dissolved in 1828 the same year it came into Russian possession, and its territory was merged with the territory of the Erivan khanate and the area became the Nakhchivan uyezd of the new Armenian oblast, which later became the Erivan Governorate in 1849. According to official statistics of the Russian Empire, by the turn of the 20th century Azerbaijanis made up 57% of the uyezd's population, while Armenians constituted 42%. At the same time in the Sharur-Daralagyoz uyezd, the territory of which would form the northern part of modern-day Nakhchivan, Azeris constituted 70.5% of the population, while Armenians made up 27.5%. During the Russian Revolution of 1905, conflict erupted between the Armenians and the Azeris, culminating in the Armenian-Tatar massacres which saw violence in Nakhchivan in May of that year. In the final year of World War I, Nakhchivan was the scene of more bloodshed between Armenians and Azerbaijanis, who both laid claim to the area. By 1914, the Armenian population had decreased slightly to 40% while the Azeri population increased to roughly 60%. After the February Revolution, the region was under the authority of the Special Transcaucasian Committee of the Russian Provisional Government and subsequently of the short-lived Transcaucasian Democratic Federative Republic. When the TDFR was dissolved in May 1918, Nakhchivan, Nagorno-Karabakh, Zangezur (today the Armenian province of Syunik), and Qazakh were heavily contested between the newly formed and short-lived states of the Democratic Republic of Armenia (DRA) and the Azerbaijan Democratic Republic (ADR). In June 1918, the region came under Ottoman occupation. The Ottomans proceeded to massacre 10,000 Armenians and razed 45 of their villages. Under the terms of the Armistice of Mudros, the Ottomans agreed to pull their troops out of the Transcaucasus to make way for the forthcoming British military presence. Under British occupation, Sir Oliver Wardrop, British Chief Commissioner in the South Caucasus, made a border proposal to solve the conflict. According to Wardrop, Armenian claims against Azerbaijan should not go beyond the administrative borders of the former Erivan Governorate (which under prior Imperial Russian rule encompassed Nakhchivan), while Azerbaijan was to be limited to the governorates of Baku and Elisabethpol. This proposal was rejected by both Armenians (who did not wish to give up their claims to Qazakh, Zangezur and Karabakh) and Azeris (who found it unacceptable to give up their claims to Nakhchivan). As disputes between both countries continued, it soon became apparent that the fragile peace under British occupation would not last. You cannot persuade a party of frenzied nationalists that two blacks do not make a white; consequently, no day went by without a catalogue of complaints from both sides, Armenians and Tartars [Azeris], of unprovoked attacks, murders, village burnings and the like. Specifically, the situation was a series of vicious cycles. By mid-June 1919, however, Armenia succeeded in establishing control over Nakhchivan and the whole territory of the self-proclaimed republic. The fall of the Aras republic triggered an invasion by the regular Azerbaijani army and by the end of July, Armenian troops were forced to leave Nakhchivan City to the Azeris. Again, more violence erupted leaving some ten thousand Armenians dead and forty-five Armenian villages destroyed. Meanwhile, feeling the situation to be hopeless and unable to maintain any control over the area, the British decided to withdraw from the region in mid-1919. Still, fighting between Armenians and Azeris continued and after a series of skirmishes that took place throughout the Nakhchivan district, a cease-fire agreement was concluded. However, the cease-fire lasted only briefly, and by early March 1920, more fighting broke out, primarily in Karabakh between Karabakh Armenians and Azerbaijan's regular army. This triggered conflicts in other areas with mixed populations, including Nakhchivan. As of today, the old frontiers between Armenia and Azerbaijan are declared to be non-existent. Mountainous Karabagh, Zangezur and Nakhchivan are recognised to be integral parts of the Socialist Republic of Armenia. The Turkish Government and the Soviet Governments of Armenia and Azerbaijan are agreed that the region of Nakhchivan, within the limits specified by Annex III to the present Treaty, constitutes an autonomous territory under the protection of Azerbaijan. So, on February 9, 1924, the Soviet Union officially established the Nakhchivan ASSR. Its constitution was adopted on April 18, 1926. As a constituent part of the Soviet Union, tensions lessened over the ethnic composition of Nakhchivan or any territorial claims regarding it. Instead, it became an important point of industrial production with particular emphasis on the mining of minerals such as salt. Under Soviet rule, it was once a major junction on the Moscow-Tehran railway line as well as the Baku-Yerevan railway. It also served as an important strategic area during the Cold War, sharing borders with both Turkey (a NATO member state) and Iran (a close ally of the West until the Iranian Revolution of 1979). Map of the Nakhchivan ASSR within the Soviet Union. Facilities improved during Soviet times. Education and public health especially began to see some major changes. In 1913, Nakhchivan only had two hospitals with a total of 20 beds. The region was plagued by widespread diseases including trachoma and typhus. Malaria, which mostly came from the adjoining Aras River, brought serious harm to the region. At any one time, between 70% and 85% of Nakhchivan's population was infected with malaria, and in the region of Norashen (present-day Sharur) almost 100% were struck with the disease. This situation improved dramatically under Soviet rule. Malaria was sharply reduced and trachoma, typhus, and relapsing fever were completely eliminated. During the Soviet era, Nakhchivan saw a significant demographic shift. Its Armenian population gradually decreased as many emigrated to the Armenian SSR. In 1926, 15% of region's population was Armenian, but by 1979, this number had shrunk to 1.4%. The Azeri population, meanwhile, increased substantially with both a higher birth rate and immigration from Armenia (going from 85% in 1926 to 96% by 1979). Armenians in Nagorno-Karabakh noted similar though slower demographic trends and feared an eventual "de-Armenianization" of the area. When tensions between Armenians and Azeris were reignited in the late-1980s by the Nagorno-Karabakh conflict, Azerbaijan's Popular Front managed to pressure the Azerbaijan SSR to instigate a partial railway and air blockade against Armenia, while another reason for disruption of rail service to Armenia were attacks of Armenian forces on the trains entering the Armenian territory from Azerbaijan, which resulted in railroad personnel refusing to enter Armenia. This effectively crippled Armenia's economy, as 85% of the cargo and goods arrived through rail traffic. In response, Armenia closed the railway to Nakhchivan, thereby strangling the exclave's only link to the rest of the Soviet Union. December 1989 saw unrest in Nakhchivan as its Azeri inhabitants moved to physically dismantle the Soviet border with Iran to flee the area and meet their ethnic Azeri cousins in northern Iran. This action was angrily denounced by the Soviet leadership and the Soviet media accused the Azeris of "embracing Islamic fundamentalism". In January 1990, the Supreme Soviet of the Nakhchivan ASSR issued a declaration stating the intention for Nakhchivan to secede from the USSR to protest the Soviet Union's actions during Black January (19–20 January 1990). It was the first part of the Soviet Union to declare independence, preceding Lithuania's declaration by only a few weeks. Subsequently, Nakhchivan was independent from Moscow and Baku but was then brought under control by the clan of Heydar Aliyev. Heydar Aliyev, the future president of Azerbaijan, returned to his birthplace of Nakhchivan in 1990, after being ousted from his position in the Politburo by Mikhail Gorbachev in 1987. Soon after returning to Nakhchivan, Aliyev was elected to the Supreme Soviet by an overwhelming majority. Aliyev subsequently resigned from the CPSU and after the failed August 1991 coup against Gorbachev, he called for complete independence for Azerbaijan and denounced Ayaz Mütallibov for supporting the coup. In late 1991, Aliyev consolidated his power base as chairman of the Nakhchivan Supreme Soviet and asserted Nakhchivan's near-total independence from Baku. Nakhchivan became a scene of conflict during the Nagorno-Karabakh War. On May 4, 1992, Armenian forces shelled the raion of Sadarak. The Armenians claimed that the attack was in response to cross-border shelling of Armenian villages by Azeri forces from Nakhchivan. David Zadoyan, a 42-year-old Armenian physicist and mayor of the region, said that the Armenians lost patience after months of firing by the Azeris. "If they were sitting on our hilltops and harassing us with gunfire, what do you think our response should be?" he asked. The government of Nakhchivan denied these charges and instead asserted that the Armenian assault was unprovoked and specifically targeted the site of a bridge between Turkey and Nakhchivan. "The Armenians do not react to diplomatic pressure," Nakhchivan foreign minister Rza Ibadov told the ITAR-Tass news agency, "It's vital to speak to them in a language they understand." Speaking to the agency from the Turkish capital Ankara, Ibadov said that Armenia's aim in the region was to seize control of Nakhchivan. According to Human Rights Watch, hostilities broke out after three people were killed when Armenian forces began shelling the region. The heaviest fighting took place on May 18, when the Armenians captured Nakhchivan's exclave of Karki, a tiny territory through which Armenia's main North-South highway passes. The exclave presently remains under Armenian control. After the fall of Shusha, the Mütallibov government of Azerbaijan accused Armenia of moving to take the whole of Nakhchivan (a claim that was denied by Armenian government officials). However, Heydar Aliyev declared a unilateral ceasefire on May 23 and sought to conclude a separate peace with Armenia. Armenian President Levon Ter-Petrossian expressed his willingness to sign a cooperation treaty with Nakhchivan to end the fighting and subsequently a cease-fire was agreed upon. The conflict in the area caused a harsh reaction from Turkey. Turkish Prime Minister Tansu Çiller announced that any Armenian advance on the main territory of Nakhchivan would result in a declaration of war against Armenia. Russian military leaders declared that "third party intervention into the dispute could trigger a Third World War". Thousands of Turkish troops were sent to the border between Turkey and Armenia in early September. Russian military forces in Armenia countered their movements by increasing troop levels along the Armenian-Turkish frontier and bolstering defenses in a tense period where war between the two seemed inevitable. The tension reached its peak, when Turkish heavy artillery shelled Nakhchivan side of Nakhchivan-Armenian border, from the Turkish border for two hours. Iran also reacted to Armenia's attacks by conducting military maneuvers along its border with Nakhchivan in a move widely interpreted as a warning to Armenia. However, Armenia did not launch any further attacks on Nakhchivan and the presence of Russia's military warded off any possibility that Turkey might play a military role in the conflict. After a period of political instability, the Parliament of Azerbaijan turned to Heydar Aliyev and invited him to return from exile in Nakhchivan to lead the country in 1993. Today, Nakhchivan retains its autonomy as the Nakhchivan Autonomous Republic and is internationally recognized as a constituent part of Azerbaijan governed by its own elected legislative assembly. A new constitution for Nakhchivan was approved in a referendum on November 12, 1995. The constitution was adopted by the republic's assembly on April 28, 1998 and has been in force since January 8, 1999. However, the republic remains isolated, not only from the rest of Azerbaijan, but practically from the entire South Caucasus region. Vasif Talibov, who is related by marriage to Azerbaijan's ruling family, the Aliyevs, serves as the current parliamentary chairman of the republic. He is known for his authoritarian and largely corrupt rule of the region. Most residents prefer to watch Turkish television as opposed to Nakhchivan television, which one Azerbaijani journalist criticised as "a propaganda vehicle for Talibov and the Aliyevs." Economic hardships and energy shortages (due to Armenia's continued blockade of the region in response to the Azeri and Turkish blockade of Armenia) plague the area. There have been many cases of migrant workers seeking jobs in neighboring Turkey. "Emigration rates to Turkey," one analyst said, "are so high that most of the residents of the Besler district in Istanbul are Nakhchivanis." When speaking to British writer Thomas de Waal the mayor of Nakhchivan City, Veli Shakhverdiev, spoke warmly of a peaceful solution to the Karabakh conflict and of Armenian-Azeri relations during Soviet times. "I can tell you that our relations with the Armenians were very close, they were excellent," he said. "I went to university in Moscow and I didn't travel to Moscow once via Baku. I took a bus, it was one hour to Yerevan, then went by plane to Moscow and the same thing on the way back." Recently Nakhchivan made deals to obtain more gas exports from Iran, and a new bridge on the Aras River between the two countries was inaugurated in October 2007; the Azerbaijani President, Ilham Aliyev and the First Vice-President of Iran, Parviz Davoodi also attended the opening ceremony. In 2008, the National Bank of Azerbaijan minted a pair of gold and silver commemorative coins for the 85th anniversary of the creation of the Nakhichevan Autonomous Soviet Socialist Republic. Nakhchivan is subdivided into eight administrative divisions. Seven of these are raions. The capital city (şəhər) of Nakhchivan City is treated separately. 2 Julfa (Culfa) Julfa Rayon 1012,75 43,000 Also spelled Jugha or Dzhulfa. ^ Records prior to 1918 used the word Tatar (Russian for Turkic people), who are the ancestors of modern-day Azerbaijani Turks. ^ Russians, Kurds, Turks, Ukrainians, Georgians, Persians etc. 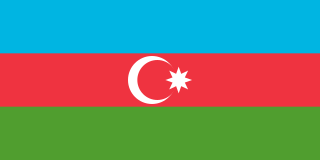 ^ a b c Azerbaijanis combined with other Muslims. As of January 1, 2018, Nakhchivan's population was estimated to be 452,831. Most of the population are Azerbaijanis, who constituted 99% of the population in 1999, while ethnic Russians (0.15%) and a minority of Kurds (0.6%) constituted the remainder of the population. The decades of the 1990s and 2000s saw a large outflow of the Azerbaijani population into Turkey and Azerbaijan proper, due to the economic hardship of the post-Soviet era as well as Nakhichevan's geographical separation from the rest of Azerbaijan. The Kurds of Nakhchivan are mainly found in the districts of Sadarak and Teyvaz. The remaining Armenians were expelled by Azerbaijani forces during the conflict over Nagorno-Karabakh as part of the forceful exchange of population between Armenia and Azerbaijan. According to a 1932 Soviet estimate, 85% of the area was rural, while only 15% was urban. This urban percentage increased to 18% by 1939 and 27% by 1959. As of 2011, 127,200 people of Nakhchivan's total population of 435,400 live in urban areas, making the urban percentage 29.2% in 2014. Were it a country, Nakhchivan would be ranked between Malaysia (62nd) and Mauritius (63rd) for its HDI. Also, compare it to Iran with HDI 0.749 (75th), Turkey with 0.759 (69th), or Azerbaijan with 0.747 (76th). Detailed map of Nakhchivan, showing cities. Nakhchivan is a semi-desert region that is separated from the main portion of Azerbaijan by Armenia. The Zangezur Mountains make up its border with Armenia while the Aras River defines its border with Iran. The Araz reservoir located on that river supplies water for agricultural needs and the hydroelectric dam generates power for both Azerbaijan and Iran. Nakhchivan is extremely arid and mountainous. Its highest peak is Mount Kapudzhukh 3,904 m (12,808 ft) and its most distinctive is Ilandag [az] (Snake Mountain) 2,415 m (7,923 ft), which is visible from Nakhchivan City. According to legend, the cleft in its summit was formed by the keel of Noah's Ark as the floodwaters abated. Qazangödağ 3,829 m (12,562 ft) is another major peak. Nakhchivan's major industries include the mining of minerals such as salt, molybdenum, and lead. Dryland farming, developed during the Soviet years, has allowed the region to expand into the growing of wheat (mostly cultivated on the plains of the Aras River), barley, cotton, tobacco, orchard fruits, mulberries, and grapes for producing wine. Other industries include cotton ginning/cleaning, silk spinning, fruit canning, meat packing, and, in the drier regions, sheep farming. Processing of minerals, salt, radio engineering, farm ginning, preserving, silk products, meat and dairy, bottling of mineral waters, clothing, and furniture are the principal branches of Nakhchivan's industry. The economy suffered a severe blow in 1988 with the loss of access to both raw materials and markets, due to the Nagorno-Karabakh War. Although new markets are emerging in Iran and Turkey, this isolation still persists to this day, impairing development. The economy of Nakhchivan is based on agriculture, mining, and food processing, however 75% of the republic's budget is supplied by the central government in Baku. Aid is also provided by Turkey and several NGOs. The Republic is rich in minerals. Nakhchivan possesses deposits of marble, lime, and gypsum. The deposits of the rock salt are exhausted in Nehram, Nakhchivan, and Sustin. The important molybdenum mines are currently closed as a consequence of the exclave's isolation. There are a lot of mineral springs such as Badamli, Sirab, Nagajir, Kiziljir where water contains arsenic. About 90% of the agricultural land is now in private hands. However agriculture has become a poorly capitalized, backyard activity. Production has dropped sharply and large-scale commercial agriculture has declined. Over two thirds of the land are rocky slopes and deserts, therefore the area of arable lands is quite limited. The main crops - cotton and tobacco - are cultivated in the PriAraz plain, near Sharur and Nakhchivan City. Three quarters of the grain production, especially winter wheat is concentrated on the irrigated lands of the Sharur plain and in the basin of the Nakhchivan river. Vine growing in Nakhchivan has an ancient tradition, in the Araz valley and foothills. Very hot summers and long warm autumns make it possible to grow such highly saccharine grapes as bayan-shiraz, tebrizi, shirazi. Wines such as "Nakhchivan" "Shahbuz", "Abrakunis", at "Aznaburk" are of reasonable quality and very popular. Fruit production is quite important, mainly of quince, pear, peach, apricot, fig, almonds, and pomegranate. Cattle ranching is another traditional branch of Nakhchivan farming. Due to the dry climate, pastures in Nakhchivan are unproductive, therefore sheep breeding prevails over other livestock production. Winter pastures stretch on the PriAraz plain, on the foothills and mountain sides to the altitude of 1,200 metres (3,900 ft). But the summer pastures go up on the high-mountain area to an altitude of 2,300–3,200 metres (7,500–10,500 ft). The most widespread sheep variety is "balbas". These sheep are distinguished by their productivity and snow-white silky wool which is widely used in the manufacture of carpets. Horned and small cattle are bred everywhere, especially in environs of Sharur and Nakhchivan. Buffaloes are also bred here. Although intentions to facilitate tourism have been declared by the government, it is still at best incipient. Until 1997 tourists needed special permission to visit, which has now been abolished, making travel easier. Facilities are very basic and heating fuel is hard to find in the winter, but the arid mountains bordering Armenia and Iran are magnificent. In terms of services, Nakhchivan offers very basic facilities and lacks heating fuel during the winter. In 2007 the Poldasht-Shah Takhti Bridge, which connects Poldasht, West Azerbaijan Province, Iran, and Shah Takhti in Nakhchivan, was completed, allowing residents of the republic to access Azerbaijan proper via Iran without having to cross Armenian territory. The number of named Armenian churches known to have existed in the Nakhichevan region is over 280. In as early as 1648 French traveller Alexandre de Rhodes reported seeing more than ten thousand Armenian tombstones made of marble in Julfa. The number of ecclesiastical monuments still standing in Nakhchivan in the 1980s is estimated to be between 59 and 100. The author and journalist Sylvain Besson believes them to have all been subsequently destroyed as part of a campaign by the Government of Azerbaijan to erase all traces of Armenian culture on its soil. When the 14th-century church of St. Stephanos at Abrakunis was visited in 2005, it was found to have been recently destroyed, with its site reduced to a few bricks sticking out of loose, bare earth. A similar complete destruction had happened to the 16th century St. Hakop-Hayrapet church in Shurut. The Armenian churches in Norashen, Kırna and Gah that were standing in the 1980s had also vanished. A Medieval cemetery regarded as one of the wonders of the Caucasus has been erased from the Earth in an act of cultural vandalism likened to the Taleban blowing up the Bamiyan Buddhas in Afghanistan in 2001. The Jugha cemetery was a unique collection of several thousand carved stone crosses on Azerbaijan's southern border with Iran. But after 18 years of conflict between Azerbaijan and its western neighbour, Armenia, it has been confirmed that the cemetery has vanished." The Armenians have long been sounding the alarm that the Azerbaijanis intend to eliminate all evidence of Armenian presence in Nakhichevan and to this end have been carrying out massive and irreversible destruction of Armenian cultural traces. "The irony is that this destruction has taken place not during a time of war but at a time of peace," Armenian Foreign Minister Vartan Oskanian told The Times. Azerbaijan has consistently denied these accusations. For example, according to the Azerbaijani ambassador to the US, Hafiz Pashayev, the videos and photographs "show some unknown people destroying mid-size stones", and "it is not clear of what nationality those people are", and the reports are Armenian propaganda designed to divert attention from what he claimed was a "state policy (by Armenia) to destroy the historical and cultural monuments in the occupied Azeri territories". A number of international organizations have confirmed the complete destruction of the cemetery. The Institute for War and Peace Reporting reported on April 19, 2006 that "there is nothing left of the celebrated stone crosses of Jugha." According to the International Council on Monuments and Sites (Icomos), the Azerbaijan government removed 800 khachkars in 1998. Though the destruction was halted following protests from UNESCO, it resumed four years later. By January 2003 "the 1,500-year-old cemetery had completely been flattened" according to Icomos. On December 8, 2010, the American Association for the Advancement of Science released a report entitled "Satellite Images Show Disappearance of Armenian Artifacts in Azerbaijan". The report contained the analysis of high resolution satellite images of the Julfa cemetery, which verified the destruction of the khatckars. The European Parliament has formally called on Azerbaijan to stop the demolition as a breach of the UNESCO World Heritage Convention. According to its resolution regarding cultural monuments in the South Caucasus, the European Parliament "condemns strongly the destruction of the Julfa cemetery as well as the destruction of all sites of historical importance that has taken place on Armenian or Azerbaijani territory, and condemns any such action that seeks to destroy cultural heritage." In 2006, Azerbaijan barred a Parliamentary Assembly of the Council of Europe (PACE) mission from inspecting and examining the ancient burial site, stating that it would only accept a delegation if it also visited Armenian-controlled territory. "We think that if a comprehensive approach is taken to the problems that have been raised," said Azerbaijani foreign ministry spokesman Tahir Tagizade, "it will be possible to study Christian monuments on the territory of Azerbaijan, including in the Nakhchivan Autonomous Republic." A renewed attempt was planned by PACE inspectors for August 29 – September 6, 2007, led by British MP Edward O'Hara. As well as Nakhchivan, the delegation would visit Baku, Yerevan, Tbilisi, and Nagorno Karabakh. The inspectors planned to visit Nagorno Karabakh via Armenia; however, on August 28, the head of the Azerbaijani delegation to PACE released a demand that the inspectors must enter Nagorno Karabakh via Azerbaijan. On August 29, PACE Secretary General Mateo Sorinas announced that the visit had to be cancelled because of the difficulty in accessing Nagorno Karabakh using the route required by Azerbaijan. The Ministry of Foreign Affairs in Armenia issued a statement saying that Azerbaijan had stopped the visit "due solely to their intent to veil the demolition of Armenian monuments in Nakhijevan". In the late 1990s the Supreme Assembly issued a non-binding declaration recognising the sovereignty of the self-proclaimed Turkish Republic of Northern Cyprus (TRNC) and calling upon Azerbaijan to do so. While sympathetic to the TRNC, Azerbaijan has not followed suit because doing so could prompt the Republic of Cyprus to recognise the self-proclaimed Nagorno-Karabakh Republic. Close relations between Nakhchivan and Turkey probably initiated this recognition. The very early Kura-Araxes culture flourished in Nakhchivan before spreading to many other areas, as far as Israel. This region reveals the genesis and chronology of this Chalcolithic and Early Bronze Age culture. Kültəpə is an important early Chalcolithic site in Nakhchivan. Another such site is Makhta Kultepe. Recent excavations at Ovcular Tepesi allow the dating of the initial stage of formation of Kura-Araxes culture to 4200–3400 BC. The Naxçivan Archaeological Project is the first ever joint American-Azerbaijani program of surveys and excavations, that was active since 2006. In 2010-11, they have excavated the large Iron Age fortress of Oğlanqala. In Nakhchivan, there are also numerous archaeological monuments of the early Iron Age, and they shed a lot of light on the cultural, archaeological and agricultural developments of that era. There are important sites such as Ilikligaya, Irinchoy, and the Sanctuary of Iydali Piri in Kangarli region. Heydar Aliyev, former President of Azerbaijan, was born in Nakhchivan. 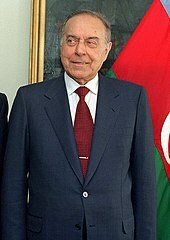 Heydar Aliyev, former President of Azerbaijan (1993–2003). Abulfaz Elchibey, former President of Azerbaijan (1992–1993). Rasul Guliyev, former speaker of the National Assembly of Azerbaijan (1993–1996) and opposition leader. Christapor Mikaelian, founding member of the Armenian Revolutionary Federation. Stepan Sapah-Gulian, leader of the Armenian Social Democrat Hunchakian Party (19th-20th century). Jafar Kuli Khan Nakhchivanski, the founder of the short-lived Republic of Aras. Ibrahim Abilov, first and only ambassador of Azerbaijan SSR to Turkey. Garegin Nzhdeh, famous Armenian revolutionary, military leader and political thinker. Alirza Rasizade (1884-1923), educator, revolutionary, statesman, Azrevcom commissar for Nakhchivan's Sovietization. Vasif Talibov, is the current chairman of the Supreme Assembly of the Nakhchivan Autonomous Republic. Alexander Jughaetsi (Alexander I of Jugha), Catholicos of All Armenians (1706–1714). Hakob Jughaetsi (Jacob IV of Jugha), Armenian Catholicos (1655–1680). Azaria I Jughaetsi, Armenian Catholicos of the Holy See of Cilicia (1584–1601). Sayyid Ammar Nakshawani, Shiite orator. Abdurahman Fatalibeyli, Soviet army major who defected to the German forces during World War II. Ehsan Khan Nakhchivanski, Russian military general. Huseyn Khan Nakhchivanski, Russian cavalry general and the only Muslim to serve as General-Adjutant of the Russian Tsar. Ismail Khan Nakhchivanski, Russian military general. Kelbali Khan Nakhchivanski, Russian military general. Jamshid Khan Nakhchivanski, Soviet and Azerbaijani military general. Yusif Mirzayev, National Hero of Azerbaijan. Maharram Seyidov, National Hero of Azerbaijan. Kerim Kerimov, National Hero of Azerbaijan. Sayavush Hasanov, National Hero of Azerbaijan. Mirasgar Seyidov, National Hero of Azerbaijan. Ali Mammadov, National Hero of Azerbaijan. Ibrahim Mammadov, National Hero of Azerbaijan. Amiraslan Aliyev, National Hero of Azerbaijan. Huseyn Javid Rasizade, poet and playwright. Jalil Mammadguluzadeh, writer and satirist. Ekmouladdin Nakhchivani, medieval literary figure. Hindushah Nakhchivani, medieval literary figure. Abdurrakhman en-Neshevi, medieval literary figure. Heyran Khanum, late medieval poet. Elşen Hudiyev, contemporary poet and writer. Alec (Alirza) Rasizade, American professor of history and political science, the author of the Rasizade's algorithm. Ruben Orbeli, Soviet archeologist, historian and jurist, who was renowned as the founder of Soviet underwater archeology. Haji Aliyev, Wrestling, World and European champion. Vladimir Makogonov, chess International Master and Grandmaster. Ajami Nakhchivani, architect and founder of the Nakhchivan school of architecture. Gaik Ovakimian, Soviet Armenian spy. Rza Tahmasib, Azerbaijani film director. The Momine Khatun Mausoleum in Nakhchivan City. Brickwork and faience pattern on the Momine Khatun mausoleum. Another view of the mausoleum. Medieval-period ram-shaped grave monuments collected near the Momine Khatun mausoleum. A ram-shaped grave monument embedded in concrete. The Batabat region of Shakhbuz. General view of Ordubad with a range of high mountains in neighboring Iran in the distance. Houses of Ordubad photographed near the east bank of Ordubad-chay (also known as the Dubendi stream). A mosque in a quarter of Ordubad. The Aras River on the Iranian border near Julfa. The mountainous terrain of Nakhchivan. The Armenian khachkar cemetery at Julfa. The Yusuf ibn Kuseir Mausoleum in Nakhchivan City. ^ Xəlilzadə, elgunkh, Elgun Xelilzade, Elgun Khalilzadeh, Elgün. "Naxçıvan Muxtar Respublikası Dövlət Statistika Komitəsi". Retrieved 12 June 2016. ^ "Regions of Azerbaijan/Economic Regions of Azerbaijan". Map Universal. 2019-01-23. Retrieved 2019-01-24. ^ "Naxcivan - republic, Azerbaijan". Retrieved 12 June 2016. ^ "." Merriam-Webster's Collegiate Dictionary, 11th ed. 2003. (ISBN 0-87779-809-5) New York: Merriam-Webster, Inc.
^ "Azerbaijan - history - geography". Retrieved 12 June 2016. ^ "Jewish Flood Legends". Retrieved 12 June 2016. ^ a b c d e f g h i Hewsen, Robert H (2001). Armenia: A Historical Atlas. Chicago: University of Chicago Press. p. 266. ISBN 0-226-33228-4. ^ a b Elisabeth Bauer, Armenia: Past and Present, p.99 (ISBN B0006EXQ9C). ^ Kazemzadeh, Firuz. The Struggle For Transcaucasia: 1917–1921. p. 255 (ISBN 0-8305-0076-6). ^ a b (in Russian) "Nakhichevan" in the Brockhaus and Efron Encyclopedic Dictionary, St. Petersburg, Russia: 1890–1907. ^ "Nakhichevan" in the 1911 Encyclopædia Britannica, vol.19, p.156. ^ Coene, Frederik (2009). The Caucasus: an introduction. Routedge. p. 35. ISBN 978-0-415-48660-6. ^ "Chapter 3". Retrieved 12 June 2016. ^ a b "Nakhchivan Autonomous Republic". nakhchivan.preslib.az. Retrieved 2017-06-14. ^ Zeinalov, A.A.; Valiev, S.S.; Tagieva, E.N. (June 2010). "Human environment in the Nakhchivan region during the Mousterian (Based on the Gazma Cave Site, Azerbaijan)". Archaeology, Ethnology and Anthropology of Eurasia. 38 (2): 2–6. doi:10.1016/j.aeae.2010.08.002. ^ "Early Indo-European Online: Introduction to the Language Lessons". Retrieved 12 June 2016. ^ Hewsen. Armenia: A Historical Atlas, p. 100. ^ (in Armenian) Ter-Ghevondyan, Aram. «Մուրացյան» (Muratsyan). Soviet Armenian Encyclopedia. vol. viii. Yerevan, Armenian SSR: Armenian Academy of Sciences, 1982, p. 98. ^ "ARMENIA - JewishEncyclopedia.com". Retrieved 12 June 2016. ^ a b c David Marshall Lang, Armenia: Cradle of Civilization, p. 178 ISBN 0-04-956009-3. ^ M. Whittow, "The Making of Byzantium: 600-1025", pp. 195, 203, 215: Excerpts:[Iranian] Azerbaijan was the scene of frequent anti-Caliphate and anti-Arab revolts during the 8th and 9th centuries, and Byzantine sources talk of Persian warriors seeking refuge in the 830s from the caliph's armies by taking service under the Byzantine emperor Theophilos. [...] Azerbaijan had a Persian population and was a traditional centre of the Zoroastrian religion. [...] The Khurramites were a [...] Persian sect, influenced by Shiite doctrines, but with their roots in a pre-Islamic Persian religious movement. «أن الفرس كانوا من سعة الملك وعلو اليد على جميع الأمم وجلالة الخطير في أنفسهم حتى أنهم كانوا يسمون أنفسهم الأحرار والأبناء وكانوا يعدون سائر الناس عبيداً لهم فلما امتحنوا بزوال الدولة عنهم على أيدي العرب وكانت العرب أقل الأمم عند الفرس خطراً تعاظمهم الأمر وتضاعفت لديهم المصيبة وراموا كيد الإسلام بالمحاربة في أوقات شتى ففي كل ذلك يظهر الله سبحانه وتعالى الحق وكان من قائمتهم سنبادة واستاسيس والمقنع وبابك وغيرهم ». See: al-Faṣl fī al-milal wa-al-ahwāʾ wa-al-niḥal / taʾlīf Abī Muḥammad ʻAlī ibn Aḥmad al-maʻrūf bi-Ibn Ḥazm al-Ẓāhirī; taḥqīq Muḥammad Ibrāhīm Naṣr, ʻAbd al-Raḥmān ʻUmayrah. Jiddah : Sharikat Maktabāt ʻUkāẓ, 1982. ^ "Babak". Encyclopædia Britannica. Retrieved 7 June 2007. ^ Encyclopedia Iranica, "Atabakan-e Adarbayjan" Archived 2007-10-16 at the Wayback Machine, Saljuq rulers of Azerbaijan, 12th–13th, Luther, K. pp. 890-894. ^ Centre, UNESCO World Heritage. "The mausoleum of Nakhichevan (#) - UNESCO World Heritage Centre". Retrieved 12 June 2016. ^ Floor 2008, p. 171. ^ Lang. Armenia: Cradle of Civilization, pp. 210-1. ^ Encyclopedia Iranica. Kangarlu Archived 2007-10-06 at the Wayback Machine. ^ (in Russian) Great Soviet Encyclopedia. Treaty of Turkmanchai. ^ (in Russian) A.S. Griboyedov. Letter to Count I.F.Paskevich. ^ Croissant. Armenia-Azerbaijan Conflict, p. 15. ^ Croissant. Armenia-Azerbaijan Conflict, p. 16. ^ De Waal. Black Garden, p. 129. ^ Croissant. Armenia-Azerbaijan Conflict, p. 18. ^ "ANN/Groong -- Treaty of Berlin - 07/13/1878". Retrieved 12 June 2016. ^ a b De Waal. Black Garden, p. 271. ^ De Waal, Black Garden, p. 88-89. ^ Paul Goble: Iranian Influence in Nakhchivan: Impact on Azerbaijani-Armenian Conflict, jamestown.org 10 July 2018. ^ Background Paper on the Nagorno-Karabakh Conflict. Council of Europe. ^ a b Turkey Orders Armenians to Leave Azerbaijan, Moves Troops to the Border. The Salt Lake Tribune. September 4, 1993. pg. A1. ^ a b c d "Nakhichevan: Disappointment and Secrecy". Institute for War and Peace Reporting. 2004-05-19. Retrieved 2004-05-19. ^ "Nakhichevan: From Despair to Where?". Axis News. 2005-07-21. Retrieved 2005-07-21. ^ "New bridge links Iran to Nakhichevan". Press TV. 2007-10-17. Retrieved 2008-01-03. ^ "Azerbaijani President attends opening of bridge uniting Iran with Azerbaijan". Azeri Press Agency. 2007-10-17. Retrieved 2008-01-03. ^ Central Bank of Azerbaijan. Commemorative coins. Coins produced within 1992-2010 Archived 2010-01-19 at the Wayback Machine: Commemorative coins dedicated to 85th anniversary of Nakhchivan Autonomy Republic. – Retrieved on 25 February 2010. ^ Hewsen. Armenia: A Historical Atlas, p. 123. ^ Alexander Griboyedov (1828). Рапорт А.С.Грибоедова графу И.Ф.Паскевичу (in Russian). Moscow: А.С.Грибоедов. Сочинения. Москва, Художественная литература, 1988 г., сс. 611-614. ^ Ivan Shopen (1852). Шопен И. Исторический памятник состояния Армянской области в эпоху её присоединения к Российской Империи. [Ethnic Processes in the South Cacucasus in 19th-20th centuries] (in Russian). Saint Petersburg: Имп. Академия наук (Imperial Academy of Sciences). ^ "Ethnic composition of Azerbaijan 2009". Retrieved 12 June 2016. ^ "Naxçıvan əhalisinin sayı açıqlandı". 22 May 2018. Retrieved 23 January 2018 – via qafqazinfo.az. ^ a b "Naxçıvan Muxtar Respublikası üzrə əhalinin sayı və cins üzrə bölgüsü 1)". Retrieved 2014-12-05. ^ "Makroiqtisadi göstəricilər". statistika.nmr.az. Retrieved 2014-12-05. ^ "Naxçıvan Muxtar Respublikası üzrə cins bölgüsündə doğulanda gözlənilən ömür uzunluğu". Retrieved 2014-12-05. ^ a b "Naxçıvan Muxtar Respublikası üzrə təhsilin əsas göstəriciləri". Retrieved 2014-12-05. ^ a b c d "Technical notes: Calculating the human development indices – graphical presentation" (PDF). 24 June 2014. Retrieved 2014-12-05. ^ Plunkett and Masters. Lonely Planet, p. 246. ^ "USACC Newsletter". www.usacc.org. Retrieved 2018-03-16. ^ Alexande de Rhodes, Divers Voyages et Missions du P. A. de Rhodes en la Chine, &AutresRoyaumes avec son Retour en Europe par la Perse et I’Armenie (Paris: Sebastian Cramoisy, 1653), Part 3, 63. Second edition (Paris: 1854), 416. "Out of the walls of this city [Julfa] which now is only a desert, I saw a beautiful monument to the ancient piety of the Armenians. It is a vast site, where there are at the very least ten thousand tombstones of marble, all marvelously well carved." ^ Sylvain Besson, "L'Azerbaidjian Face au Desastre Culturel", Le Temps (Switzerland), November 4, 2006. ^ Switzerland-Armenia Parliamentary Group (ed.) "The destruction of Jugha and the Entire Armenian Cultural Heritage in Nakhchivan", Bern, 2006. p73-77. ^ Monumental Effort: Scotsman wants to prove Azeri policy of cultural destruction in Nakhijevan, Gayane Mkrtchyan, ArmeniaNow, 2 September 2005. http://www.armenianow.com/features/5782/monumental_effort_scotsman_wants_t Quote: "But a special state policy of destruction is being implemented in Azerbaijan. In Turkey, after 90 years of staying empty, there are still standing churches today, meanwhile in Nakhijevan, all have been destroyed within just 10 years." ^ "World Watches In Silence As Azerbaijan Wipes Out Armenian Culture". The Art Newspaper. 2006-05-25. Retrieved 2006-05-25. ^ "Tragedy on the Araxes". Archaeology. 2006-06-30. Retrieved 2006-06-30. ^ "Armenica: Destruction of Armenian Khatchkars in Old Jougha (Nakhichevan)". Retrieved 12 June 2016. ^ a b "Historic graveyard is victim of war - The Times". Retrieved 12 June 2016. ^ "Will the arrested minister become new leader of opposition? Azerbaijani press digest". REGNUM News Agency. 2006-01-20. Retrieved 2006-01-20. ^ "Azerbaijan: Famous Medieval Cemetery Vanishes". Institute for War and Peace Reporting. 2006-04-19. Retrieved 2006-04-19. ^ "Azerbaijan 'flattened' sacred Armenian site". 29 May 2006. Retrieved 12 June 2016. ^ "Satellite Images Show Disappearance of Armenian Artifacts in Azerbaijan". 8 December 2010. Retrieved 12 June 2016. ^ "European Parliament Resolution on the European Neighbourhood Policy - January 2006". Retrieved 12 June 2016. ^ "Texts adopted - Thursday, 16 February 2006 - Cultural heritage in Azerbaijan - P6_TA(2006)0069". Retrieved 12 June 2016. ^ Castle, Stephen (2006-05-30). "Azerbaijan 'Flattened' Sacred Armenian Site". London: The Independent. Archived from the original on 2006-06-15. Retrieved 2006-05-30. ^ "Pace Mission to Monitor Cultural Monuments", S. Agayeva, Trend News Agency, Azerbaijan, August 22, 2007. ^ Ministry of Foreign Affairs of the Republic of Armenia, Press Release 29-08-2007. ^ "Europe, the US, Turkey and Azerbaijan recognize the "unrecognized" Turkish Republic of Northern Cyprus". REGNUM News Agency. 2006-09-22. Retrieved 2006-09-22. Floor, Willem M. (2008). Titles and Emoluments in Safavid Iran: A Third Manual of Safavid Administration, by Mirza Naqi Nasiri. Washington, DC: Mage Publishers. p. 248. ISBN 978-1933823232. Wikimedia Commons has media related to Nakhchivan. Wikivoyage has a travel guide for Nakhchivan (region). The Nakhichevan Autonomous Soviet Socialist Republic, abbreviated as Nakhichevan ASSR, was an autonomous republic within the Azerbaijan SSR, itself a republic within the Soviet Union. It was formed on 16 March 1921 and became a part of the Azerbaijan SSR proper on 9 February 1924. Sadarak is a rayon and the westernmost part of Azerbaijan in the Nakhchivan Autonomous Republic. It was split from the Ilyich rayon in 1990. It has an exclave in Armenia - Karki - which has been under Armenian control since May 1992 when it was captured during the Nagorno-Karabakh War. Sadarak covers 163,74 km2, located in the north-west of Nakchivan Autonomous Republic and has three villages. The capital of Sadarak is Heydarabad. The distance from Sadarak to Yerevan is 60 km. Nakhchivan is the capital of the eponymous Nakhchivan Autonomous Republic of Azerbaijan, located 450 km (280 mi) west of Baku. The municipality of Nakhchivan consists of the city of Nakhchivan, the settlement of Əliabad and the villages of Başbaşı, Bulqan, Haciniyyət, Qaraçuq, Qaraxanbəyli, Tumbul, Qarağalıq, and Daşduz. It is spread over the foothills of Zangezur Mountains, on the right bank of the Nakhchivan River at an altitude of 873 m (2,864 ft) above sea level. Jolfa is a city and capital of Jolfa County, East Azerbaijan Province, Iran. At the 2006 census, its population was 4,983, in 1,365 families. The Treaty of Kars was a peace treaty that established the common borders between Turkey and the three Transcaucasian republics of the Soviet Union. The treaty was signed in the city of Kars on 13 October 1921. Julfa, formerly Jugha and also rendered as Djulfa, Dzhul’fa, Jolfa, Dzhulfa, Džulfa, Jolfā, Jolfā-ye Nakhjavān, is the administrative capital of the Julfa Rayon administrative region of the Nakhchivan Autonomous Republic in Azerbaijan. The Republic of Aras was a short-lived and unrecognized state in the South Caucasus, roughly corresponding with the territory that is now the Nakhchivan Autonomous Republic of Azerbaijan. Named after the Aras River that formed its southern border, the republic was declared in December 1918 by Jafargulu Khan Nakhchivanski with support from the Azerbaijan Democratic Republic's ruling party, the Musavat Party, and the government of the Ottoman Empire. Armenians in Azerbaijan are the Armenians who lived in great numbers in the modern state of Azerbaijan and its precursor, Soviet Azerbaijan. According to the statistics, about 400,000 Armenians lived in Soviet Azerbaijan in 1989. Most of the Armenian-Azerbaijanis however had to flee the republic, like Azerbaijanis in Armenia, in the events leading up to the Nagorno-Karabakh War, a result of the ongoing Armenian-Azerbaijani conflict. Atrocities directed against the Armenian population have reportedly taken place in Sumgait, Ganja and Baku. Today the vast majority of Armenians in Azerbaijan live in territory controlled by the break-away region Nagorno-Karabakh which declared its unilateral act of independence in 1991 under the name Nagorno-Karabakh Republic but has not been recognised by any country, including Armenia. Armenians had a historic presence in Nakhchivan. According to an Armenian tradition, Nakhchivan was founded by Noah, of the Abrahamic religions. During the Soviet era, Nakhchivan saw a significant demographic shift. The Armenian population saw a great reduction in their numbers throughout the years repatriating to Armenia. Nakhcivan's Armenian population gradually decreased to around 0%. Still some Armenian political groupings of the Republic of Armenia and the Armenian diaspora, claim that Nakhchivan should belong to Armenia. The Medieval Armenian cemetery of Jugha (Julfa) in Nakhchivan, regarded by Armenians as the biggest and most precious repository of medieval headstones marked with Christian crosses – khachkars, was completely demolished by 2006. Gyunnyut Operation or Gyunnyut clashes began on 20 May 2018 between the Armenian Armed Forces and Azerbaijani Armed Forces. Clashes and subsequent military operations ended with Azerbaijan regaining several occupied villages and strategic positions within the Nakhchivan Autonomous Republic, these areas had previously been part of a no man's land between the Azerbajiani and Armenian lines. 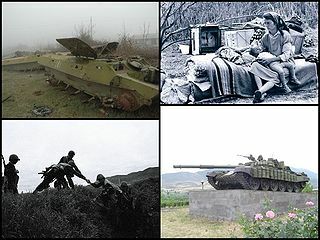 On the end of May, Nakhchivan Separate Combined-arms Army regained control of Gyunnut, a village in Sharur District that has been completely destroyed by the Armenian forces in 1992, and two strategic positions, Khunutdagh and Aghbulag. Azerbaijani Armed Forces also regained control of and took new positions on Kyzylkaya and Mehridagh strategic positions. They also reportedly took new positions in a previously unoccupied neutral zone in Nakhchivan near Armenian village of Areni in Vayots Dzor Province.